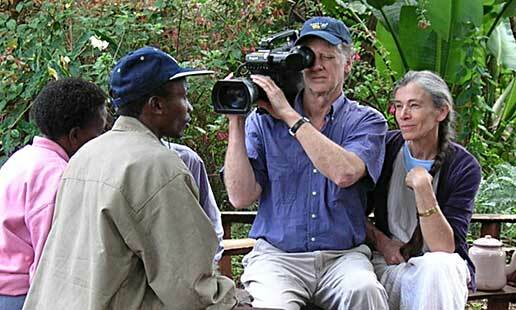 Alan Dater and Lisa Merton have been working together on the production of documentary films since 1989. Their productions include: ‘Home to Tibet,’ a film about a Tibetan refugee’s return to his homeland, shown on many PBS stations, and at the International Documentary Film Festival in Amsterdam; ‘Bridge of Fire,’ the story of the collaboration of a Japanese and Vermont potter, winner of a Cine Golden Eagle and The Best Media Work at the Montréal Festival of Films on Art, also screened at the Museum of Modern Art and the Louvre; ‘Wolf Kahn: Landscape Painter,’ a portrait of the well known American painter, winner of a Cine Golden Eagle; and ‘The World in Claire’s Classroom‘ a documentary on a veteran Vermont public school teacher’s extraordinary vision of teaching children how to appreciate diversity and how to respect themselves and others. Alan Dater graduated from Goddard College in 1965 with a B.A. in Philosophy. He began his film career in New York City shortly thereafter working on documentaries as a freelance soundman and later as a director/cameraman. Many of these productions were broadcast on the major U.S. networks and include: ‘Lifeline,’ an Emmy Award-winning medical documentary series for NBC; ‘The Body Human,’ an Emmy Award-winning medical series for CBS; and National Geographic Specials. He has gained extensive experience in film and video from working on many productions on the arts, social issues, and education as well as for the corporate world. These productions include the feature film ‘Hi Mom‘ directed by Brian De Palma, starring Robert De Niro; and a documentary about the country singer Johnny Cash entitled ‘Johnny Cash: The Man, His World, His Music.‘ After moving to Vermont he continued his freelance career and began producing independent films. Often these films focused on the arts. They include: ‘The Stuff of Dreams,’ the story of a community theater group’s creation of an elaborate, original production of Shakespeare’s The Tempest, shown at INPUT in Milan; and ‘Blanche,’ a portrait of the conductor, Blanche Honegger Moyse, one of the founders of the Marlboro (Vermont) Music Festival. Lisa Merton started out her career as a weaver. She studied textile design and weaving in Scandinavia and, after returning to the U.S., worked professionally as a weaver for ten years. While studying in Norway, she was inspired by a series of tapestries that depicted the occupation of Norway by the Nazis. Her intent was to weave tapestry and use it as an art form for social change but instead she ended up as a production weaver. It was not until she started making films in 1989 that she fulfilled her intent to weave images that could inspire social change. She has a Masters in Teaching English and has taught English as a second language in multi-cultural classrooms. She brings her interest in education, cultural diversity, and social change, as well as her skill as a craftsman, to the filmmaking process. Mary Lampson is an award-winning independent documentary filmmaker and editor. Lampson co-edited the academy-award winning documentary ‘Harlan County, USA‘ and has worked as an editor on many other independently produced documentary features. She has worked with Emile de Antonio, Ricky Leacock. D.A. Pennebaker, Barbara Kopple and, most recently, with Julia Reichert and Steve Bognar, Anne Makepeace, Michael Tucker and Jill Eikenberry, Carl Deal and Tia Lessin, and Jennifer Fox. Lampson has also worked in the dramatic format. Her film ‘Until She Talks‘ was produced independently and aired on the PBS series American Playhouse. It won a Blue Ribbon at the American Film Festival, among many other awards. She has produced over 25 short live action films for Sesame Street. She has been a fellow and advisor at Robert Redford’s Sundance Institute and also teaches filmmaking to children as an artist-in-residence at all levels of K-12. Tom Haneke is one of the most respected documentary editors working today. He has edited films directed by Alexandra Pelosi, David Grubin, Barbara Kopple, and Peter Davis. His very first feature, From Mao to Mozart, won the Academy Award for Best Documentary Feature in 1980. Two other films he edited also won Academy Awards: ‘He Makes Me Feel Like Dancing‘ in 1983 and ‘American Dream‘ in 1990. He received three Emmys for “outstanding editing” for his work on ‘He Makes Me Feel Like Dancing,’ the CBS special ‘Jack,’ and ‘Mother Teresa‘. His films ‘Ghosts of Attica‘ and ‘LBJ‘ each won the Alfred I. Dupont-Columbia Award for Excellence in Journalism. Other PBS documentaries include ‘Abraham and Mary Todd Lincoln‘ for The American Experience and ‘The Rise and Fall of Jim Crow,’ which was awarded a Peabody. Jim Klein has been active in the American independent film community since 1969. With Julia Reichert, he made the first documentary about women from a feminist perspective, ‘Growing Up Female‘; the Oscar-nominated ‘Union Maids‘; and the first documentary film on American Communists, ‘Seeing Red,’ which brought their second Academy Award nomination. His first solo film, ‘Letter to the Next Generation,’ premiered on the PBS series, P.O.V. ‘Taken For a Ride,’ co-made with Martha Olson, looks at GMs’ role in destroying public transportation and pushing freeways into city centers. For the past decade, Klein has worked primarily as an editor, cutting a variety of independent films, including the documentaries, ‘Scouts Honor,’ ‘If I Can’t Do It,’ and ‘A Lion in the House,’ and the narrative features ‘The Dream Catcher‘ and ‘Speed of Life‘. The documentaries he has edited have won numerous awards and honors, including the Prime Time Emmy for Documentary Achievement, the Alfred I. Dupont-Columbia Award for Excellence in Broadcast Journalism and the Audience Award and Freedom of Expression awards for feature documentary at the Sundance Film Festival. ‘Speed of Life,’ recently completed, had its world premiere at the Venice Film Festival.